This newsletter is a space for our members, and others active in traditional music in Scotland, to share news, stories and thoughts. Contributions are always welcome. 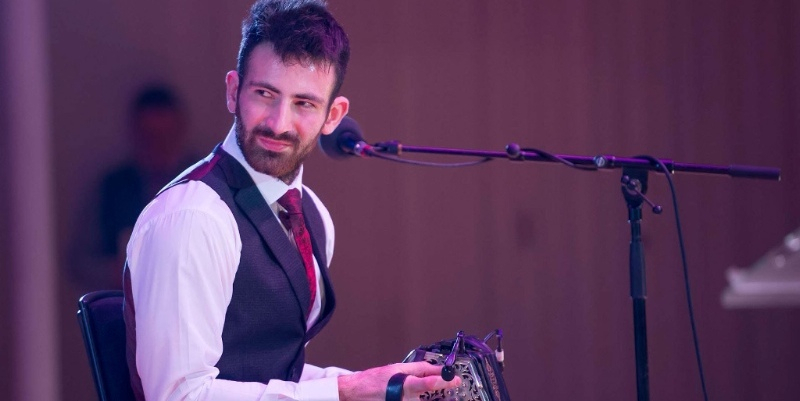 As the membership subs start to roll in for the new year, we are reminded of the tremendous breadth and variety of what goes on under the heading of 'Traditional Music' in Scotland. 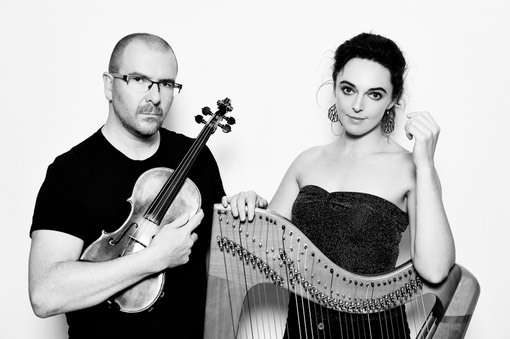 Maeve Gilchrist's event at Edinburgh Harp Festival, and the recent Distil Showcase, for example, produced by Hands Up for Trad at theTolbooth, had musicians whose usual repertoire of jigs, strathspeys and polkas was not directly expressed but nevertheless informed the spirit of the pieces of contemporary music they had composed for Mr McFall's Chamber. The night before the Distil gig I found myself at Falkirk Folk Club, a perfect folk club setting in the upstairs room of a pub, with lots of chorus-singing and good cheer. A previous trip away from the Netherbow took me to the National Piping Centre for an excellent evening of music from past and present students at Plockton, with Gaelic song, virtuoso piping and fiddling, all rounded off with Mick West leading the company in the Freedom Come-All-Ye. 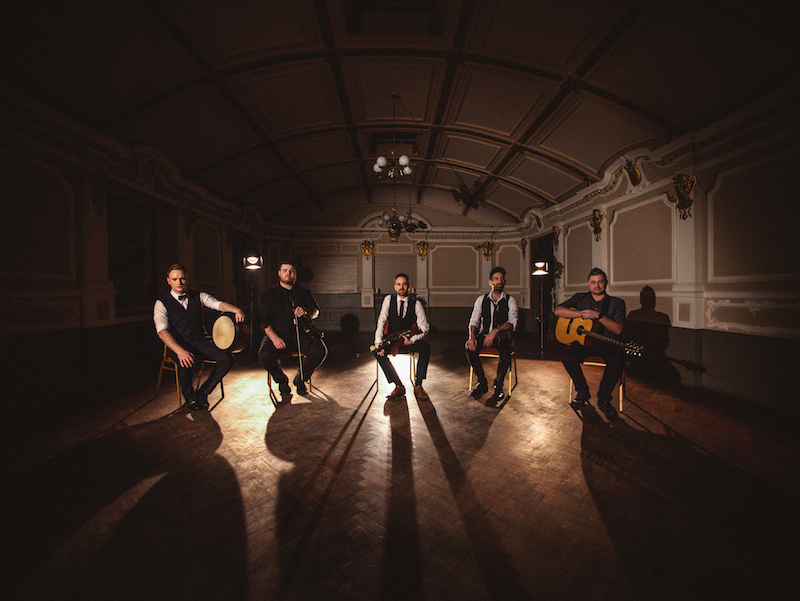 And a read through the current issue of Box and Fiddle highlights the bands that touch the lives of many outside of the trad music world as they ply their trade at social events the length and breadth of the country. Hands up for Trad will shortly be announcing the latest inductees into the Traditional Music Hall of Fame which celebrates that broad flourishing of activity and its common roots. Into the Hall of Fame go not only those whose names are familiar to us from stage and recording, but also those who support the music year in year out, 'putting up posters at midnight in the rain', as one of them put it. We are fortunate in Scotland to have many such folk, and a scene that is simultaneously innovative and creative, professionally accomplished and community-minded. The Traditional Music Forum as a member of TRACS will fully comply with the upcoming General Data Protection Regulations which come into effect on 25th May 2018. 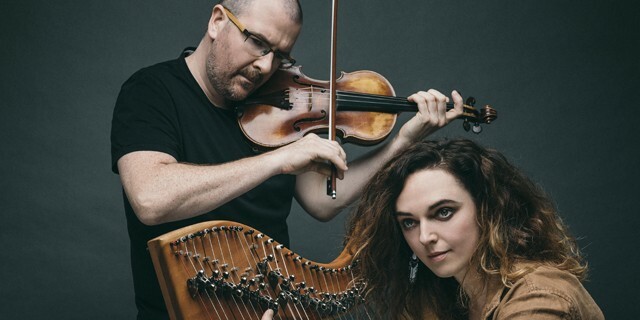 As someone with an interest in traditional music and the work of the Forum, you will continue to receive this monthly newsletter, which we hope you find useful as a source of information, support and opportunity. Should you no longer wish to receive the newsletter, you can unsubscribe using the link at the top or the bottom of the page. Trad Talk is open to everyone. 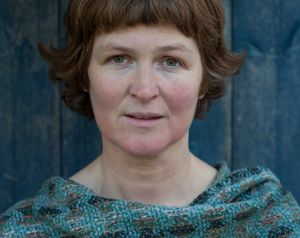 Come and join in the discussion on Scotland's current trad gigging economy. Festivals seem to flourish, CDs still pour from the pressing plants, musicians are fizzing with ideas and skill. All seems to be well in the trad scene today, but what is the reality for musicians, promoters and venues? Are there enough gigs? 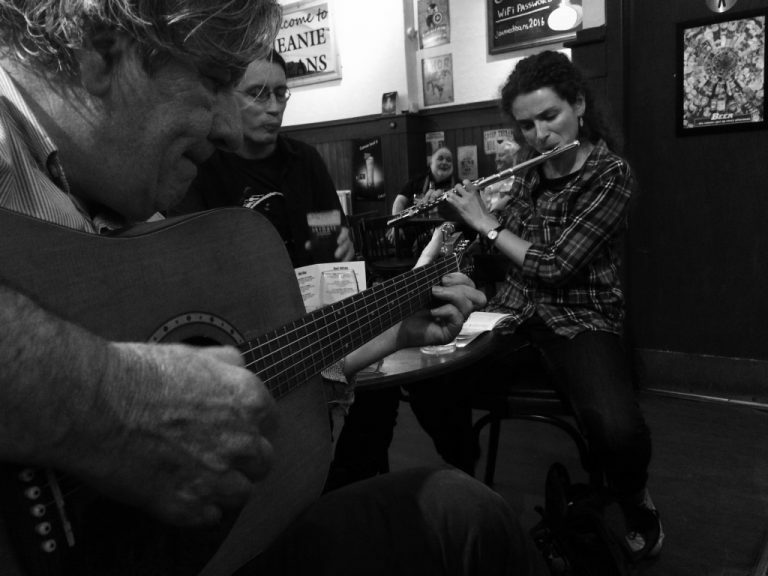 Has the folk club had its day? What do audiences want? 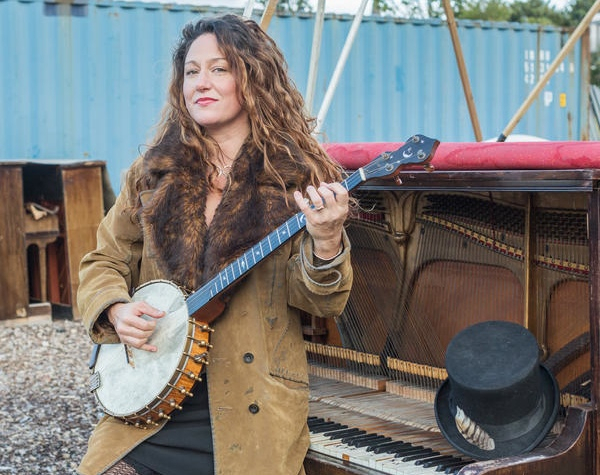 The Traditional Music Forum hosts a day of first-hand accounts, reflections and ideas with leading figures from the scene, plus plenty of opportunity for discussion and practical proposals. Speakers include musicians Pete Coe, Laura Beth Salter, Mike Vass and Fraser Bruce, with Carolyn Paterson (The Tolbooth), Stuart Miller (Falkirk Folk Club), David Foley (Folklub), Mhairi Marwick (Arc Sessions) and Douglas Robertson (SoundHouse), plus more to be announced. Tickets here (lunch included in ticket price). Fancy hearing some fantastic live music? Stick around after Trad Talk for our evening performance. 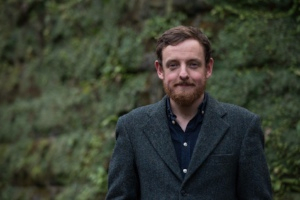 Following on from Trad Talk, in the evening there will be a gig with the key note speaker from the day - Pete Coe. He will be joined by special guests including Mike Vass, Laura Beth Salter, David Foley & Tina Jordan Rees. The concert is FREE for Trad Talk ticket holders. We hope to see as many of you at Trad Talk as possible. If there is anyone you think might be interested in joining us, please let them know about the event. It's sure to be an interesting and vibrant discussion followed by a great gig. 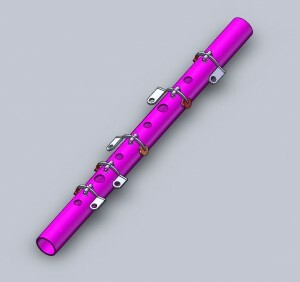 This month we have a FANTASTIC blog by Ewen White about working for MK Whistles. A really interesting insight into how these beautiful instruments are made. Read the blog here. 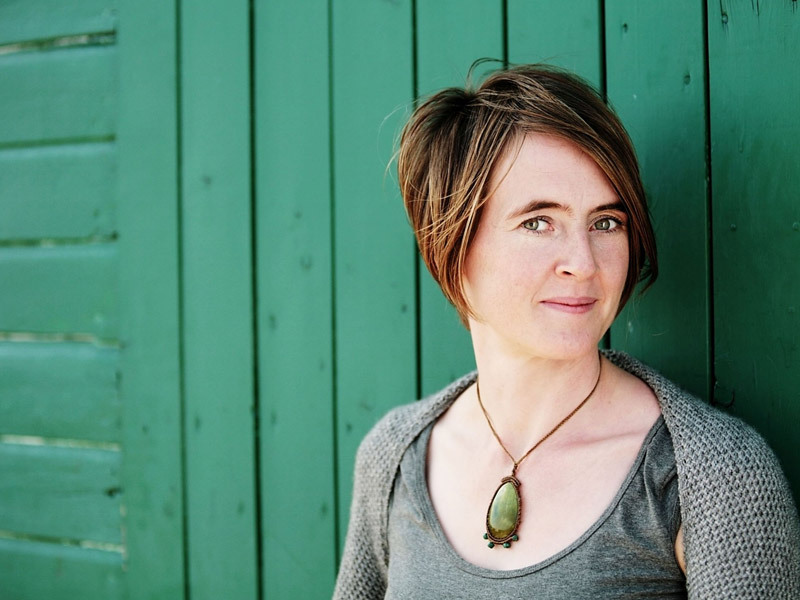 Another BRILLIANT blog this month comes from Eilidh Firth, a fiddle player from Dundee. 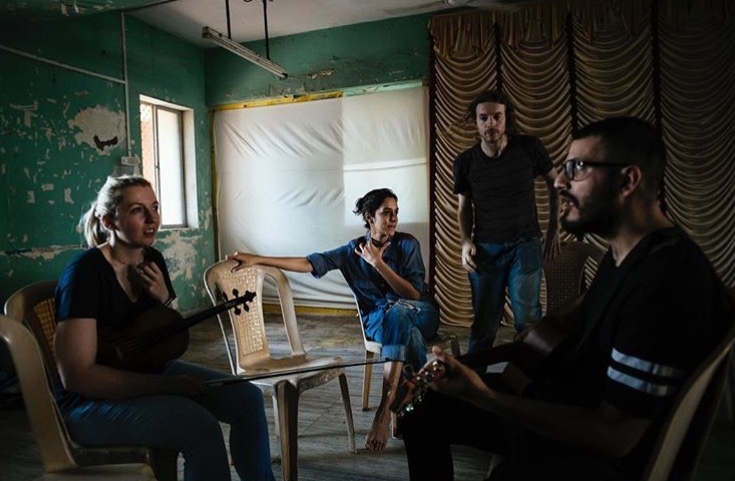 She writes about her recent trip to Mumbai in which she helped create a new collaborative work between Scottish and Indian artists based around storytelling, drama and music. Read the blog here. Friday 4th May @ 8pm, tickets here. More info & booking here. 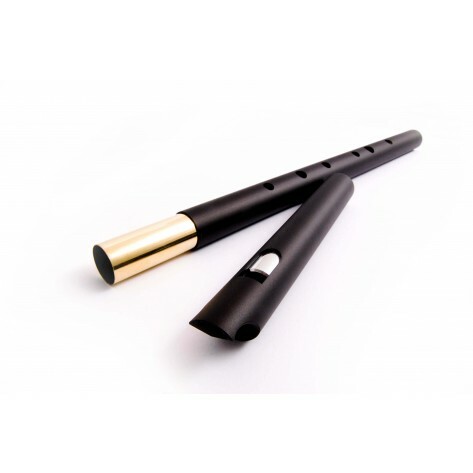 The 5th annual FluteFling Scottish Flute Weekend will take place in Edinburgh 20th-22nd April 2018, and will be joined by whistles and low whistles for the first time. 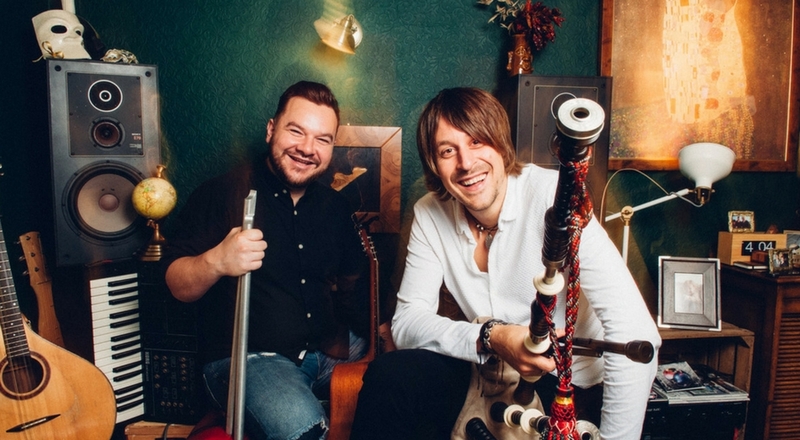 There is a day of workshops focussing on flute and whistle playing within Scottish traditional music with fantastic tutors Niall Kenny, Sharon Creasey and Kenny Madden. Additionally, a special guest speaker is to be announced and there will be free open sessions over this sociable and friendly weekend that has become an important part of the year for many. 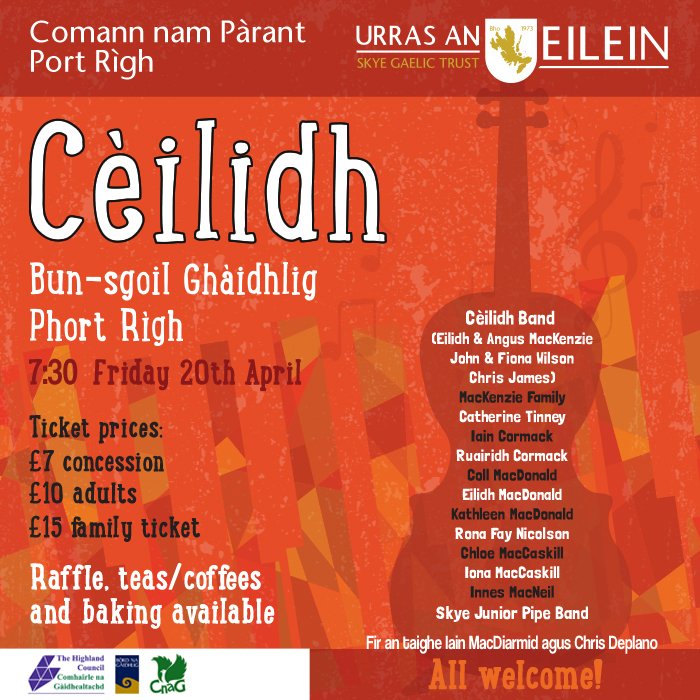 Comann nam Pàrant Port Rìgh in association with Urras an Eilein is organising a Cèilidh on Friday 20 April at 7:30pm to celebrate the opening of Bun-sgoil Ghàidhlig Phort Rìgh and enable members of the community to see the new school. The majority of people taking part are, or were, in Gaelic medium education in Portree and Fir an taighe will be John McDiarmid and Chris Deplano who were among the first Gaelic medium pupls in Portree. There will be tea/coffee and home baking plus a mega-raffle! The summer term is now available for booking HERE. All @ The Wash House, Adelphi Grove. Advanced and beginners @ 8pm. 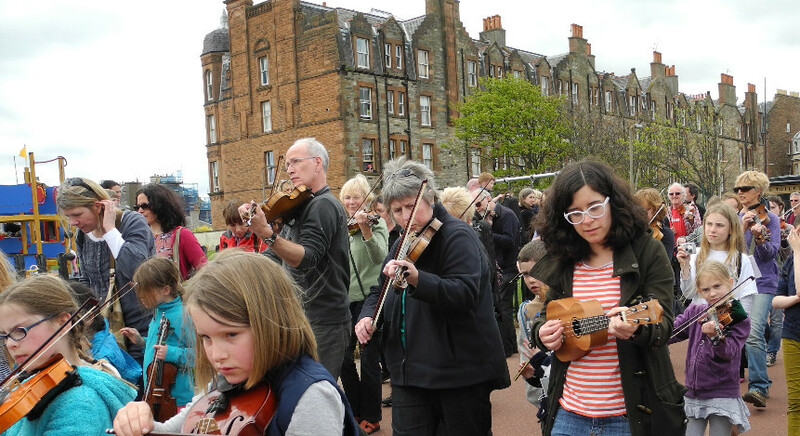 Fun Fiddle and Brass Blast once again join forces for a celebratory musical jaunt along Portobello Promenade. Come and join the melee!! Easy parts for everyone to join in with. Gather 1.30pm at foot of Figgate Lane for Fun Fiddle group photo before we set off. Bring your fiddle or any other instrument. Family and friends most welcome too. Tunes and song to practice are HERE. Last years inaugural event was really exciting and the 2018 finals are back again for TradFest, Edinburgh on May 6th. It will be a great concert! The event will take place in Pleasance Theatre, Pleasance Courtyard, 60 Pleasance, Edinburgh EH8 9TJ, starts at 7.30pm and tickets cost £10. 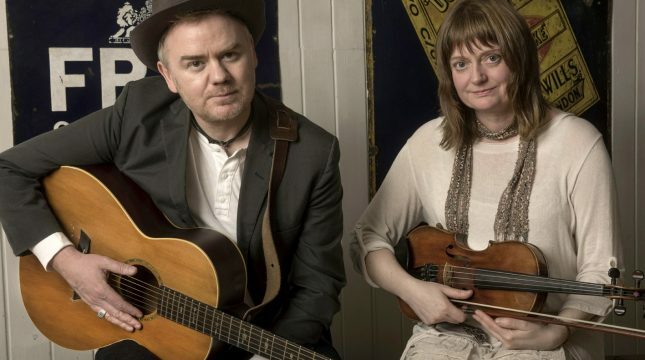 Another wee reminder about these fantastic upcoming Folklub gigs! This course will give you the tools to kickstart your song writing and take it to a whole new level. The camp creates the perfect conditions for your creative cooking: peaceful, supportive and inspiring. Limited spaces - book your place! Visit Pippa's website. 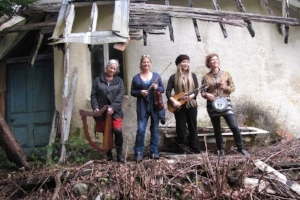 Fèis Phàislig will deliver their first ever Cèilidh Trail project this August. Discover what life is like as a touring traditional musician, performing a variety of concerts across 3 weeks this summer. If you are aged 16-25 and interested in a paid summer position, make sure you audition on Sunday 29th April in Paisley. 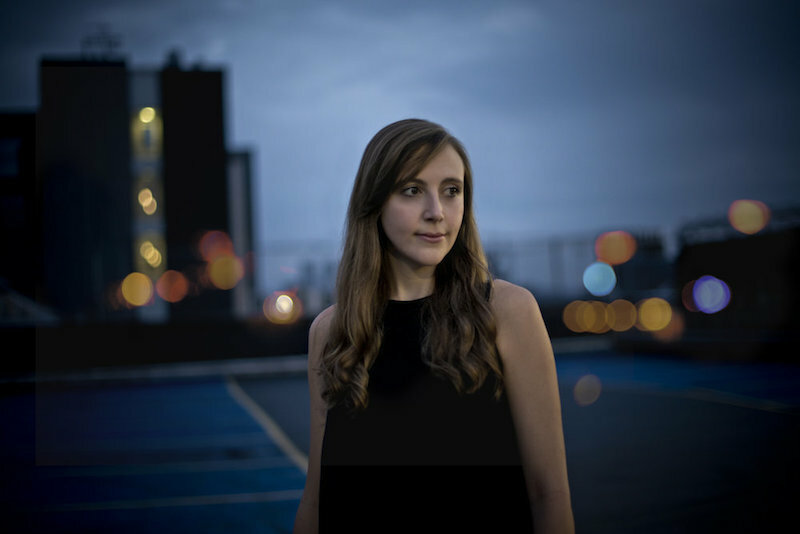 SC&T's new youth music project gives young Traditional and Folk musicians in the North East unique and inspiring opportunities. Are you aged between 12-25? 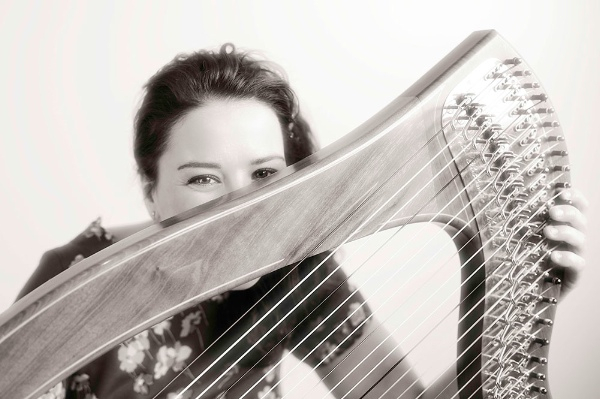 Keen to develop your skills as a Traditional and Folk musician? Want to gain new experiences and access professional support? This new programme from SC&T aims to support young people by developing their confidence and experience as a Traditional and Folk musician. Over the course of a year, we will provide a variety of opportunities for learning and development including masterclasses, bespoke tutoring sessions, Trad sessions for under 18’s, group work, performing and recording. The programme is flexible and open to complete beginners as well as more advanced musicians. The programme is FREE and is supported by the Youth Music Initiative. DO YOU WRITE TRAD TUNES? 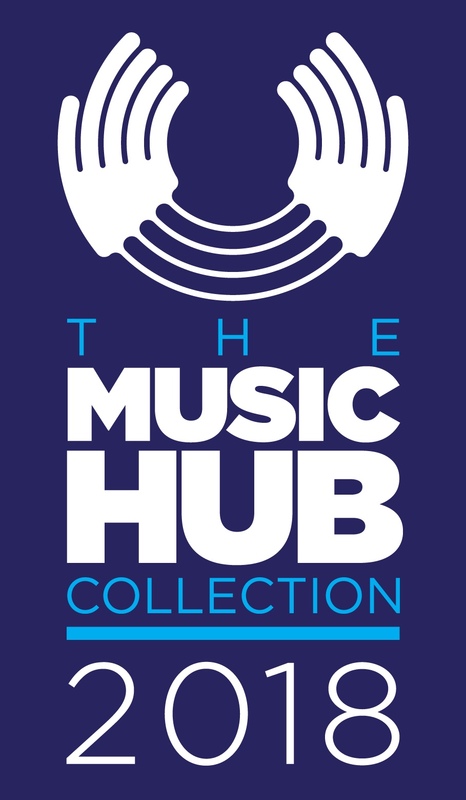 WHY NOT ENTER THE MUSICHUB 2018 COLLECTION! Do you write tunes in a Scottish traditional style? 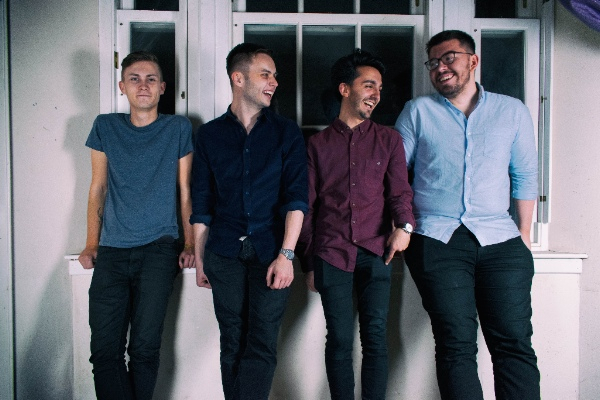 Hands Up for Tradare looking for the top 20 tunes of 2018* for their 2018 Collection. They can be anything from reels, jigs, airs, waltzes and anything in between! All you have to do is to upload them to MusicHub! All the tunes will be listened to by A panel of musicians and their favorite top 20 chosen. The 2018 Collection is a Hands Up for Trad project and is administered by MusicHub. If you write tunes or songs why not upload your tunes to MusicHub. It exists to give you the opportunity to promote your music rather than leaving it in your homes and unseen and on a hard disk. The closing date for entries is Sunday 26th July. View the full post with all details on how to enter here. 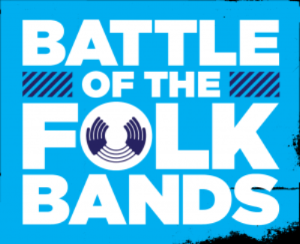 Stonehaven Folk Festival is celebrating its 30th year in July 2018 and are trying to get into the Guinness record books. 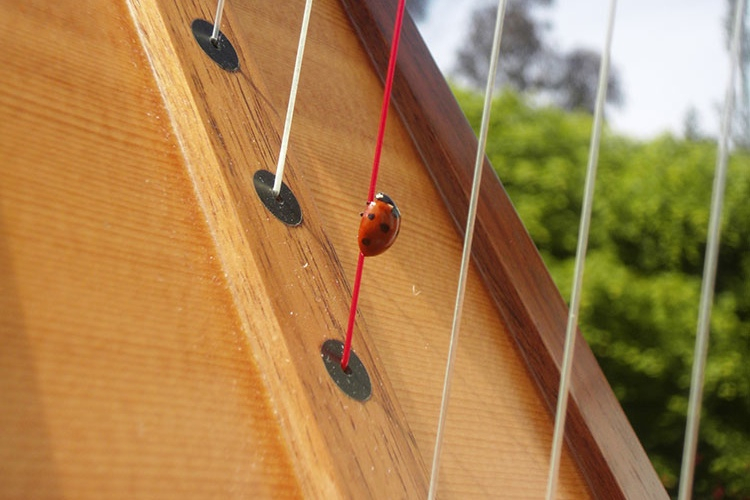 You will need to be able to play at dance speed, with standard session tunes such as the Mucking O' Geordies Byre and Off to California, music will be provided beforehand, but you should aim to play without it on the day. Tunes will be in G or D. No formal audition required, but a couple of practice get togethers with be arranged before the event. WOULD YOU BE INTERESTED IN JOINING LIVE MUSIC NOW SCOTLAND? Live Music Now Scotland is a charity that gives performance opportunities to young musicians and brings live music to those who might not normally be able to access it. The next round of auditions will be held in November in Glasgow. The deadline for applications is October 1st. We know that might seem like miles off, but we just thought we'd give you a heads up! Click on the link below to get more info on how to apply. Gordon first started composing tunes for his band back in 1989 and through the years has established himself as one of Scottish Dance Music’s most prolific composers. 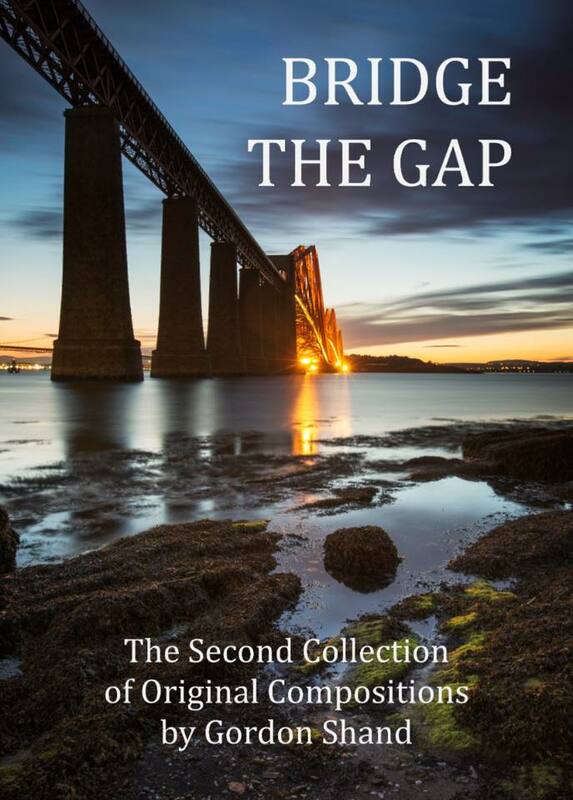 In 2007 Gordon released his first book of own compositions titled The Force is Strong and due to demand has just released his 2nd volume of Original Compositions titled Bridge The Gap as many of his tunes bridge the gap between the style of Traditional Scottish Dance music and Contemporary Folk tunes. The book is available from Gordon's website. Digital Development company, Whereverly, has launched the Highland Discovery app, the product of a collaboration between Transport Scotland, young people, local tourism groups and cultural collaborators, including singers and storytellers, Jess Smith and Paraig McNeill, and Greentrax Recordings. The aim of the app is to help tourists not just to visit, but feel like they belong to the Scottish Highlands, connecting them to the local places, people and culture through local stories and songs. The Highland Discovery app, taking in the landscape and communities along the A9, is the first in a series of experiences which make accessible and bring to life local culture and tourism across Scotland. 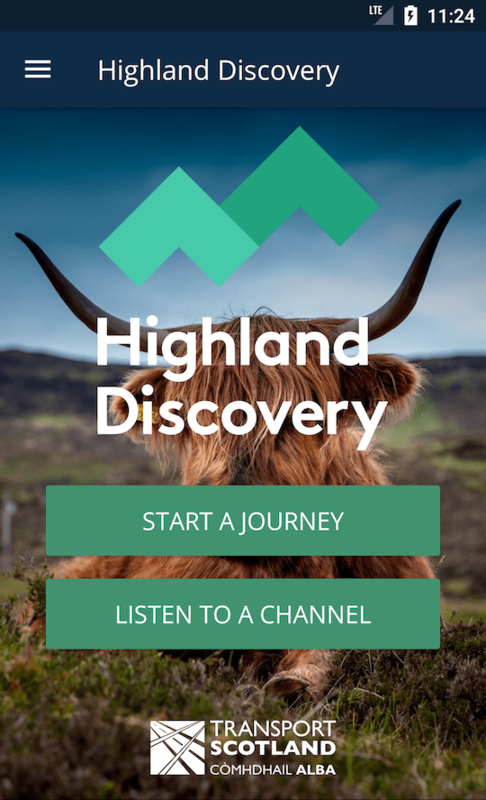 The Highland Discovery app is available in iOS and Android. 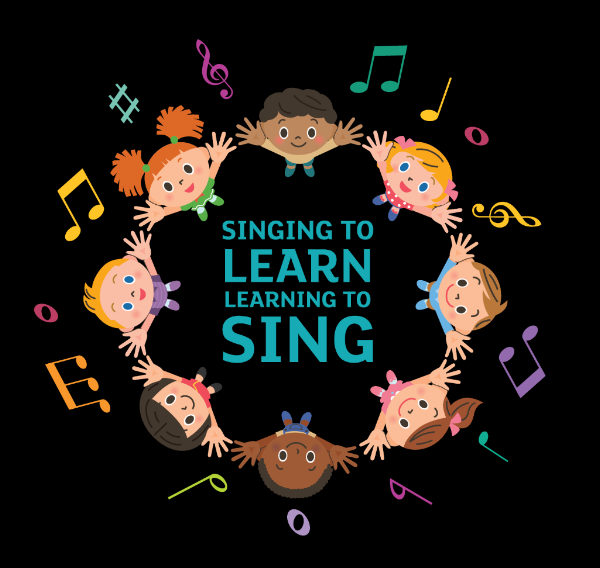 Singing to Learn, Learning to Sing, the new singing resource has been launched by the Music Education Partnership Group. Featuring teaching videos and resources from publishers the resource is designed to increase opportunities for children in ELCC and primary settings to experience music every day in the classroom. The resource is available on Glow, a digital learning platform for Scottish schools, which is only accessible to educational practitioners with Glow accounts. It provides access to a vast number of teaching materials including how-to teaching videos, backing tracks, sheet music and lyric sheets of various genres at early, first and second level. The link for the resource is ow.ly/gawG30iOdog.